The county of Galway lies on Ireland’s western sea-coast and is home to some of the most beautiful natural scenery in Ireland. Dominated by the salt-kissed winds of the Atlantic and dotted throughout its sparsely populated lands with the stone small walls synonymous with Ireland (and in particular the West) this glorious county has much to offer any visitor. Walk amidst the vibrant and vivid colors of Connemara, marvel at the love affair that inspired Kylemore Abbey and take a spin around any of the Aran Islands feeling the cool clean air in your lungs as you cycle those bumpy winding roads – and when you are finished enjoy Galway Bay Oysters, a cool Guinness and a raucous trad session (traditional music session) in a tucked away pub - heavenly! So if you are thinking of vacationing in Galway, here are some of my choice places to visit! Kylemore Abbey - built for romance and still inspiring it over a hundred years later, this spellbinding castle should be a must-see on all itineraries! With an awe-inspiring history, out of this world photographic opportunities, a walled garden, forest walks, a café full of delicious treats and capped off by being located in the very heart of Connemara, be sure to visit Kylemore and see for yourself how special this place really is! Connemara National Park covers some 2,957 hectares of scenic mountains, bogs, heaths, grasslands, woodland and also contains several megalithic monuments. There are 3 main walking routes throughout the park each one offering spectacular scenery and wildlife with every step. During the summer months, the visitor center offers an audio visual exhibition on the Connemara landscape and with lovely picnic areas, nature trails, children’s playground and tearooms you will certainly be occupied for the day! Ready those hiking boots and poles and discover the park and its jewels for yourself! Aran Islands The three islands which make up the Aran Islands are Inis Mór (Big Island), Inis Meáin (Middle island) and Inis Oírr (East island)and are situated at the mouth of Galway Bay. They are famous for their geological formation, historical monuments (most notably Dún Aonghasa) and their linguistic and cultural heritage. The Irish (Gaelic) language is still spoken here, although today, all islanders are bilingual in both Irish and English. It is almost impossible to word how wonderful these islands truly are and trying to encapsulate their magic and charm in a few lines is proving much too difficult! Suffice to say – only with a visit can you truly appreciate their barren beauty and the wit and friendliness of the locals. Joe Watty’s Bar – situated on Inis Mór this is one great bar – sumptuous food, friendly and welcoming staff, phenomenal music sessions with local (and not so local musicians) and a warming turf fire at the hearth (ahem!) of this pub mark it out as one of tourireland’s favorites! One of the oldest and most traditional pubs on the islands, don’t make a visit to the Aran Islands without visiting here!! Galway City Nightlife There is a something for everyone in Galway City’s dynamic and vivacious nightlife. A 7 night a week city, famous for its live music scene and relaxed atmosphere, the combination of a vibrant student population, great festivals and visitors (both Irish and international) all add to Galway’s melting pot of music, culture and traditions which all help to make Galway one of the most entertaining and evolving live music scenes in the world. However the pubs, clubs and lounges are not only about the nightlife as most of them serve terrific food, so make sure to sample the delicious local sea-fare as well as an impromptu trad session! Brigit’s Garden is set on the edge of Connemara and sits on some 11 acres. There are four gardens to visit – each representing the magic and spirituality of the Celtic world during the festivals of Samhain, Imbolc, Bealtaine and Lughnasa. The best time to appreciate the gardens are during the summer months when the colors and scents of the blooms along with the hum of the insects fill your senses and the sheer wonderment of nature seems to abound from every corner. All the gardens are wildlife gardens, designed to complement both the Celtic world they represent and the landscape in which they are set. Learn about Celtic mythology and traditions as you wander the gardens and embrace your Celtic soul! Killary Harbour is Ireland’s only fjord, located in Leenane (on the Galway/Mayo boarder) and is some 16 kilometers long and 45 meters deep. Due to its sheltered position waters are always calm so enjoy a cruise with Killary Fjord Boat Tours to truly appreciate the spectacular beauty of the fjord from the majestic mountains to the sparkling waters. If you enjoyed reading about Galway why don’t you plan a trip to Ireland?! Take in the Aran Islands or Killary Harbor and plan a vacation of a lifetime! With our Custom Tours you have the freedom and flexibility to choose the places you want to visit, on an itinerary of your making! Check us out today! 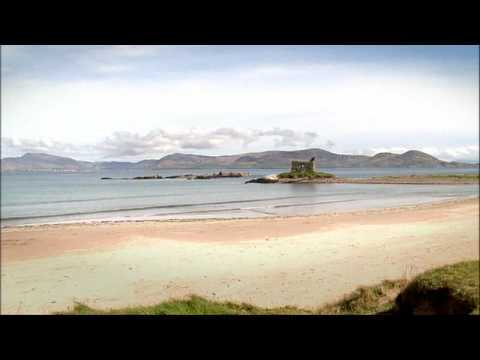 And while in the beautiful west of Ireland, you can travel to other counties and take in more of this gorgeous region!